You must make reservations at least 5 minutes in advance of the time at Tequila's Restaurant. Lunch: Monday - Friday: 11:30am - 2:00pm; Dinner: Monday - Thursday: 5:00pm - 10:00pm, Friday - Saturday: 5:00pm - 11:00pm. Note: We require that your entire party be present, prior to being seated. Off-street parking is available. Various moderately priced parking lots on Latimer street between 15th & 16th streets. Located at 16th & Locusts where the #2 bus meets the #12 bus. And at the PATCO 16th Street exit. 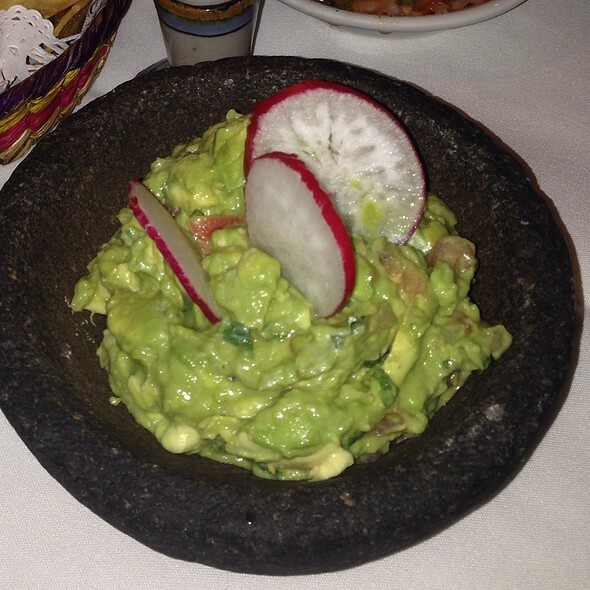 Tequilas Restaurant serving authentic Mexican Cuisine for over 25 years. Please note; only special menus may be available on Valentine's Day, Cinco de Mayo and New Year's Eve. Please call us to confirm. vegetarian option available. melted chihuahua cheese with or without chorizo and poblano peppers. served with four flour tortillas. fish and shrimp cooked with the juice of a freshly squeezed lime and heated with tomato, onion, cilantro and chile serrano. a dish that pays tribute to my old school of carlos'n charlie's mexico. ostion diabla - oysters with bacon, ham, onion, garlic, tomato salsa and red wine. ostion madrazo - oysters with spinach, onion, cream, cheese and chile chipotle. ostion cardenas - oysters served with garlic butter, parsley and brandy. flauta/flute. this light and delicious appetizer consists of two very light corn tortillas filled with chicken and covered with tomatillo sauce. it literally means battered. empanadas del dia. today's empanadas. without a doubt the region of the gulf of mexico offers us literally thousands of dishes with a variety that will seduce even the most demanding palate. if is a region that was influenced by the magical journeys of the spaniards, dutch, britain and french in addition to the contributions of the gigantic and docile africa. a dignified and simple representative of this region is the empanada. tortillas de maiz. handmade corn tortillas, filled with the freshest ingredients selected each day by our chef. probably the most popular mexican soup. a perfect combination of chiles, tomato, epazote and tortilla. served with or without chicken. a classic cream of black beans served with bacon, queso fresco, onion and croutons. hard to believe but in the late 1920's cesar salad was created by two italian brothers (alex and cesar cardini) in their tijuana restaurant. a dish like many other dishes that originated in a country with which it is not associated. romaine tossed with anchovies, eggs and grated cheese. vegetarian option available. three egg omelette filled with potatoes and chorizo (mexican sausage). vegetarian option available. two sunny side up eggs over a corn tortilla with a ranchera sause made of tomatoes, onions and serrano peppers, served with beans and rice. vegetarian option available. two enchiladas stuffed with chicken or cheese (your choice), covered with our traditional red sauce. this national pride is garnished with beans and rice and covered with chihuahua cheese. vegetarian option available. two chicken or cheese enchiladas with our famous mole sauce. from the pacific coast. restaurants in the states of nayarit, colima, sinaloa and sonoro offer this dish. shrimp stuffed with chihuahua cheese and wrapped with bacon. served on a bed of greens, mexican rice and vegetables. 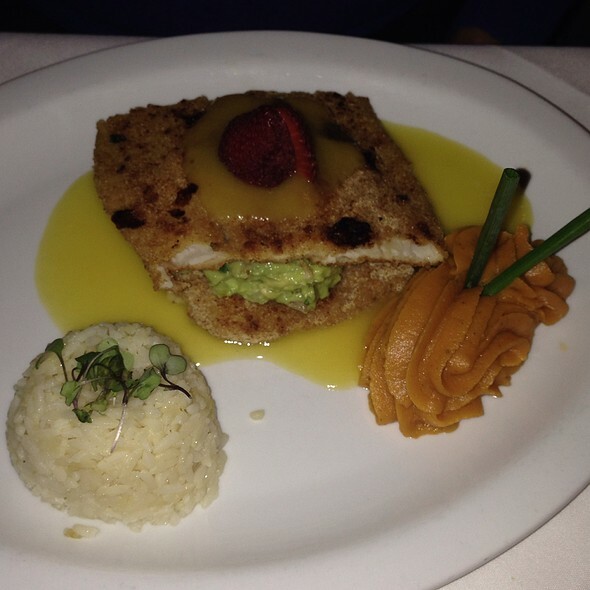 a rare mixture of the fresh fish of the day, lightly breaded, grilled, stuffed with guacamole, seductively paired with a mango and ginger sauce. spanish colonialism had been the imposing force for decades, yet through inter-marriage a new culture gradually emerged-the mestizo. in the city of puebla, several convents were active in creating much of the traditional mexican cooking, as we know it today. one such convent was expecting a visit by a distinguished archbishop. a nun decided to serve a sauce known by the nahuatl indians as "mulli". however "mulli" is a potpourri of hot chiles. knowing the holy man was not accustomed to spicy dishes, she set to the task of adding ingredients that would counteract the chiles: chile ancho, dorado bread, tomato, cloves, bitter chocolate, chile poblano, peanuts, sugar, almonds, chile guajillo, fried tortillas, chile chalaca, carrots and garlic. this very combination makes a mole poblano a truly rich and complex sauce. a succulent boiled chicken breast exalted from the past. served with rice and refried beans. a chicken breast pounded and covered with refried beans and melted chihuahua cheese. surrounded with an exquisite tomatillo sauce and vegetables. chicken in our yucateca sauce which includes achiote, orange and onion. served with refried beans and mexican rice. chicken breast served in a lava rock bowl, which is first heated in the oven. covered with a spicy salsa made from tomato, garlic and chile de arbol and accompanied by corn tortillas to make your own tacos. served with guacamole, beans and rice. our chef selects a thin slice from lean steak. this in turn is seasoned and grilled. includes a tamal, guacamole, rice, refried beans and chicken taquito. your beef tenderloin served in a lava rock bowl, which is first heated in the oven. covered with a spicy salsa made from tomato, garlic and chile de arbol and accompanied by corn tortillas to make your own tacos. served with guacamole, beans and rice. "grito" means shout. this dish brings out a cry of joy when tasted, confirming the high degree of culinary creativity that exists in mexico. 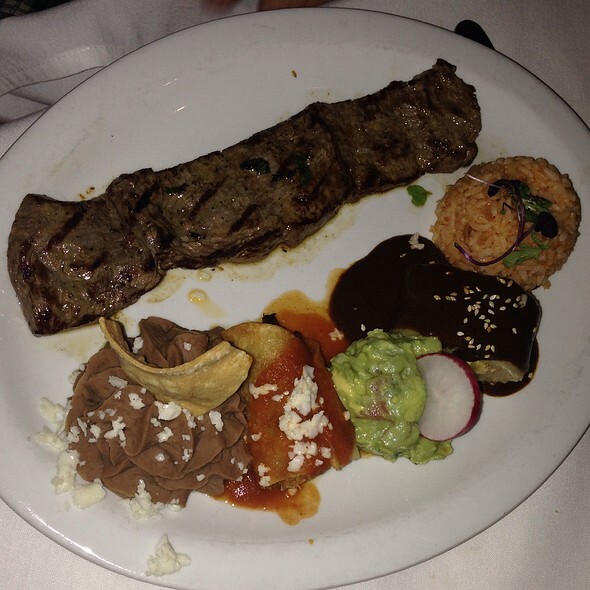 the cactus leaf is a bed with the tropical tamarindo sauce inviting the chile chipotle to participate as a witness in the lynching of the fabulous filet mignon, along with the chiles serranos. rice, guacamole and refried beans as garnish. vegetarian option. cheese or picadillo prepared with onions, garlic, laurel and original spices stuffed inside a poblano pepper which is egg batter fried. presented in our traditional red sauce topped with fresh cream. Awesome restaurant. The service is great and so is the food. Food is always delicious and fresh, Best Margaritas in the city. No mixes or added sweeteners. Service is always friendly. It was very busy and took as while for our drinks to arrive but we've been dining here since they opened and are never disappointed. I have been searching for a place like this for years and finally found it! The food was the best I've ever had. Real authentic flavors from top to bottom. Our server was amazing to say the least. Extremely knowledgeable about everything at the restaurant and funny too! He made the experience memorable. Tequila's served well for our special occasion dinner. While a bit pricey, the food was delicious and the restaurant was beautiful. The noise level was quite loud, but I have no real complaints- I'll go again! Very warm and friendly place but as others have commented too loud to have a conversation or hear the waiter. The food was ok but not great. The chicken lava bowl was very good but the tortillas that came with it were not. The Tuna Ceviche had no flavor. The Caeser salad was bland. Spent over $100 and won't be back. I've been going to here for years and unfortunately my wife and I don't get out in the city as much as we'd like. We used to live in Philly and Tequilas was a regular spot for us - we even went on our first date there so there's a bunch of nostalgia for us. I'm hoping it was a one-off thing but the service we received this time when we went was poor. It seemed like the wait staff was extremely overworked because our waiter only came by once after taking our order. Sat outside as we usually do, that's why it was loud. Food was excellent as always, but it took 45 minutes from ordering until getting our food. This wouldn't have been a problem, but we ran out of chips and had to start eating the Mango/Crabmeat Guac with a spoon. It was still good but not the same thing. I'm hoping that a few people on the wait & kitchen staff just called out last minute which caused them to be spread thin. Will definitely go back, but if the service is like this again, may need to reconsider. They also seem to have significantly raised their prices recently. One entree, guac, a refill of chips and some corn tortillas came to almost $60 without tip. We love it every time! I visit every time I travel to Philly. 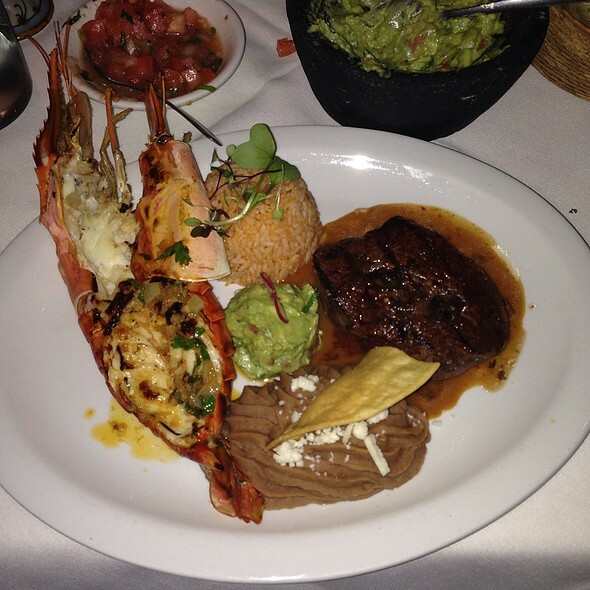 The menu is varied and different than your typical Mexican restaurant. Excellent food and service. Great menu with lots of interesting choices. The barramundi salsa tequila was excellent. Love the restaurant. Brought friends with us who had never been to the restaurant, we sat in the back room which was extremely noisy. Our young server though very nice failed miserably. Had to ask for our drinks and water 4+ times. Didn't know the tequila selection very well. In addition he seem very disoganized and forgetful. After telling our friends how spectacular the restaurant was, I was a bit embarrassed for my selection. But I will be back assuming this was a one off. Really like this place. Tasty food, superb service, noise level not bad, even on a busy Saturday evening. We will certainly go back. 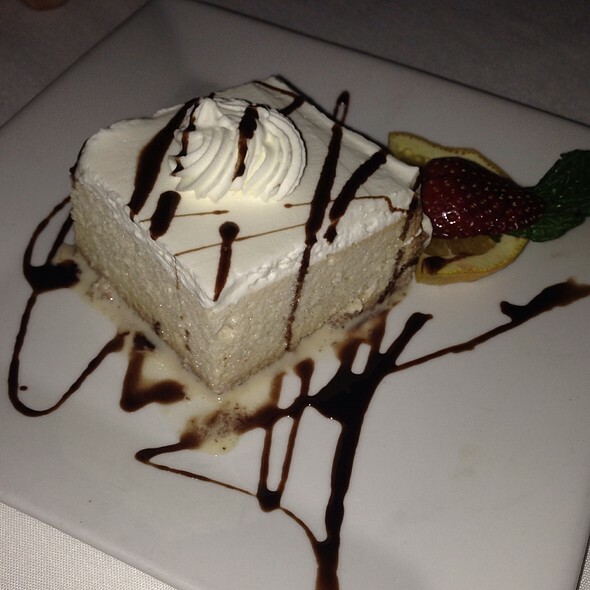 Excellent restaurant, service was great, staff was helpful, and you can’t go wrong with anything on the menu. 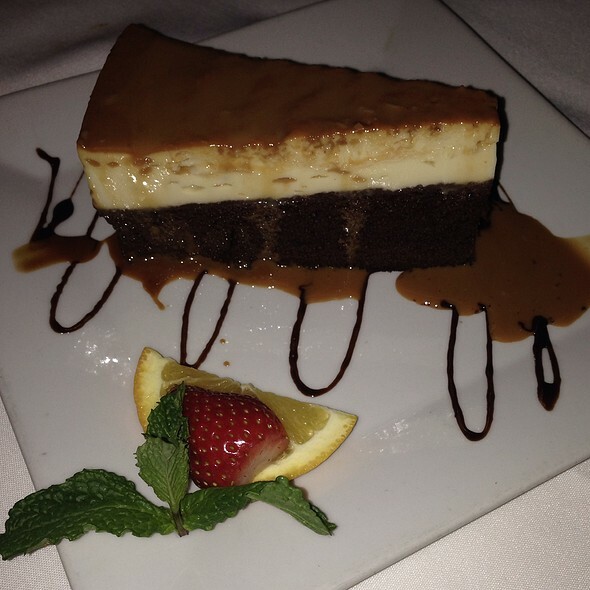 My husband and I had a great date night at Tequila’s! The food and drinks were amazing. What really stood out to me was the service. Every customer was treated with the same friendly service. Every interaction lead to a smile on our faces. My wife and I decided to give Tequila a try on a random Friday evening. The good: Service was great. Didn’t feel rushed nor were we neglected. Waiter sensed our timing and served accordingly. The OK: drinks were OK. Not great but just ok. Fork in old city has a much better mixologist. The food was ok. The fish was ok. Nothing exciting or to write about. It was just ok. The beef was also just ok. It didn’t grab you. The sauces didn’t taste authentic. The bad: nothing really horrible. Again, the whole experience was ok. The food gave us an underwhelmed feeling but nothing egregious. The worst thing we tried were the empanadas. They were mushy (soggy) and didn’t have enough filling... Verdict: not sure we would return. The service was great. The food was forgettable. I can get that anywhere and pay less. I’ve always thought Tequilas is a cool place for drinks or a fun happy hour. The Eat in experience was different for me. The service was great but the food was dissappointing. My dish came out cold and the vegetables were too salty to eat. For the price, I know the food could have been better. The food was great and the tequila menu was great as well. I can't wait to go back and check it out again! The Ceveche was amazing. The special, fish taco, was very good and reasonably priced. Restaurant has nice ambience and not noisy. Visited Tequila's prior to a show at the Kimmel. Service was top notch and food was very tasty high-end Mexican. Would definitely recommend to others looking for a taste treat. Food was great. Ambiance wasn’t bad. Waiter was a bit much, but that might just have been us. Overall good. Food was great and service attentive. The service was great. Good menu with many special items as well. The guacamole was great and was the food. Highly recommend. Manuel is the best! Always enjoy out time at Tequilas. Little pricey for Mexican food but food was good and service was very good. Food was great, as always. Carne Asda Tapenqena was excellent. Lagostino's were delicious as was the guacamole. Wine was good. Our only slight disappointment was the Pitcher of Margarita's - it really didn't taste like any tequila was in it, it was very weak and watery. This restaurant was a lot bigger inside than I expected. They fill every available spot with tables. The service was excellent and very attentive. As Texans, we didn’t have high expectations for Mexican food in Philadelphia. We were pleasantly surprised. They had a nice fresh & modern take on traditional favorites. We both went with seafood dishes. The tiger prawns were the highlight of the meal. However, the crab & mango guacamole was a close 2nd. 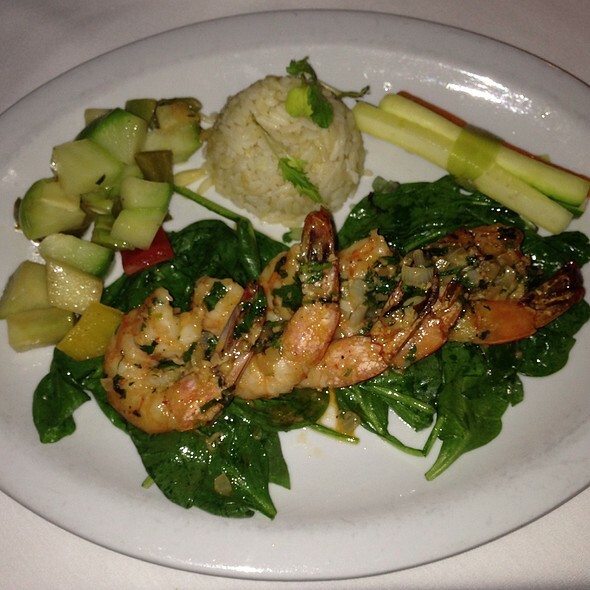 It was an adventurous selection for us, and were glad we did. 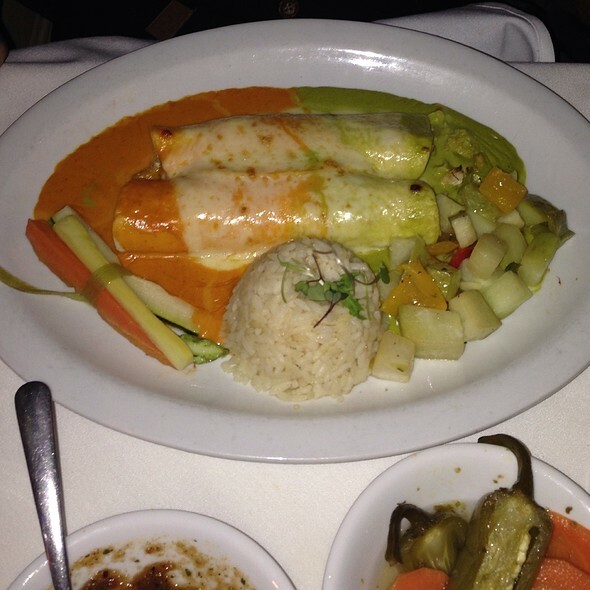 The seafood enchiladas had good subtle flavors, but it was overshadowed by the other dishes. This is now on our must visit list, on our next trip to philly. A friend recommended Tequila's and we were not disappointed. There is an extensive tequila list for the afficianado. The food is excellent and there is a large variety of choices. It's a little noisy but not bad. Definitely a good choice and convenient to Center City. Always great, authentic Mexican fare. We love this place! The menu could be a little bigger (more fresh fish and proteins please..?) but what’s on it is very tasty - try the shrimp in Chihuahua cheese app - it was fantastic. Homemade chips and guacamole were really good too...seafood ceviche was another winner. Fun atmosphere. Def will return again soon. Good Mexican food in a beautiful old Philadelphia building. The bar is lively, and architectural detail in this 19th century townhouse is lovely. Great selection of tequilas and mezcal, and a very knowledgable wait staff to help guide you through the selections. 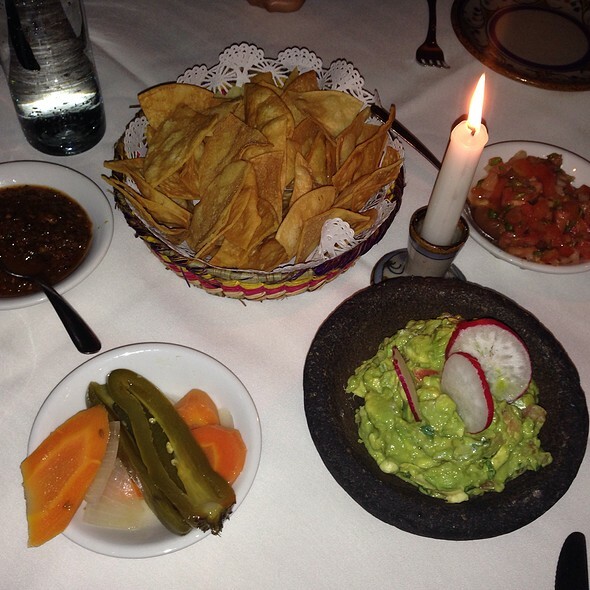 Guacamole and Fundita were excellent. Chicken mole had a nice sauce but chicken was a bit dry this time. This was second time I dined there and I would recommend it for folks looking for Mexican in Center City. Amazing lava bowl chicken and the steak was very tender. The recommended Alipus mezcal was smoky and delightful. What a great restaurant experience. From the food to the wine and the service everything was great. I highly recommend this restaurant. The seafood was perfectly cooked and presented. Service was a little rushed but other than that perfect. The food was delicious and beautifully presented. The waiters were attentive and friendly, which we liked but it could be off-putting to anyone who likes to be left alone more. They have an excellent selection of tequilas and mezcal on their drink menu. Flan was excellent!